Brett Harward is a professional speaker and a peak performance coach to thousands. His award-winning training and coaching programs transform organizations and individuals from the inside out – with stunning results. He has built and sold his own successful businesses, selling the most recent to a Fortune 300 Company. Along the way, he has worked with thousands of businesses ranging from Fortune 500 companies to small business startups. He has provided training and consulting to companies like Service Master, Orkin, SC Johnson Wax, Trust Wave, Hansen Eagle Precast, FMC, and DOW Chemical. 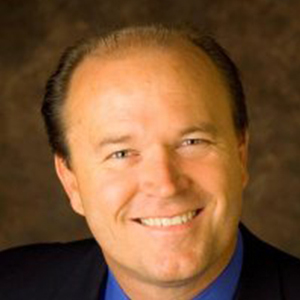 He is highly sought-after as a speaker and trainer, and has shared the stage with the likes of Mark Victor Hansen, Bob Proctor, Lisa Nichols, Garrett Gunderson and Les Brown. He self-published his first solo book, The 5 Laws That Determine All of Life’s Outcomes, which was quickly picked up and published by FranklinCovey, and was awarded the Amazon Editors choice award for being one of the best books of 2014. For the last 15 years, Brett has studied the behaviors of people and organizations with an eye for what separates the average from the super-successful. Brett is committed to making a difference. As a result, leaders from diverse industries and thousands of individuals from all walks of life are moving from ordinary to extraordinary. His innate ability to see and predict human behavior makes his insights invaluable for companies that must move masses of people in order to succeed. Brett’s passion for changing how people learn and for elevating humanity through global learning is powerful and contagious.